Several months ago we had the good fortune to stumble on Lou's Sushi in Midtown Sacramento. Yesterday, some of Lou's unique dishes made their way to TV. 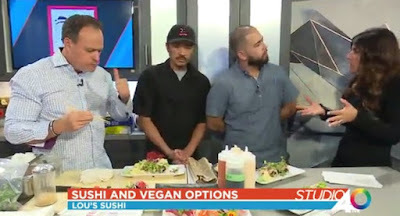 Appearing in Sacramento's Fox 40 Studio 40, two employees from Lou's discussed their extensive sushi and vegan sushi menu. Our review can be read below and Lou's Sushi menu can be viewed here. 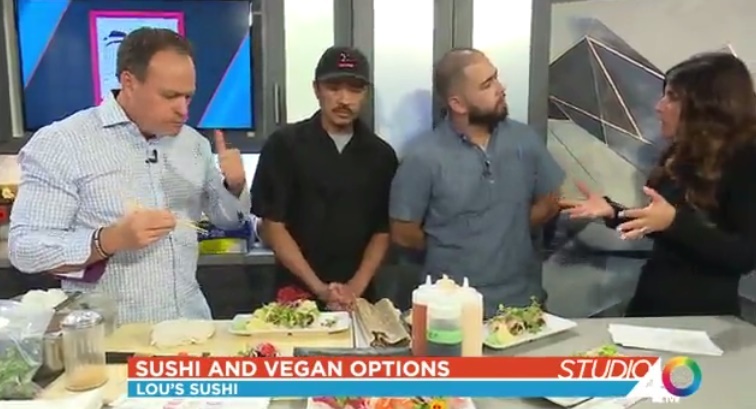 No Comment to " Lou's Sushi - A Great Choice in Midtown For Vegan Sushi "